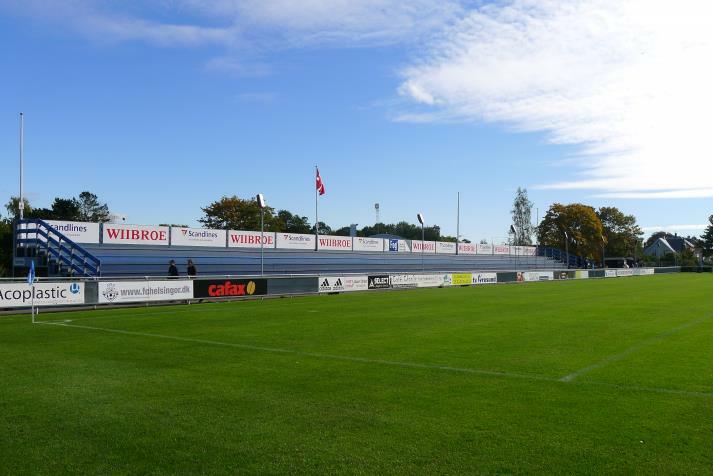 Lying just 240 meters away from the beach, this picturesque stadium in northern Helsingør is quite modest and it begs the question how on earth did they fit over 5,000 people during its record-attendance game in 2017! 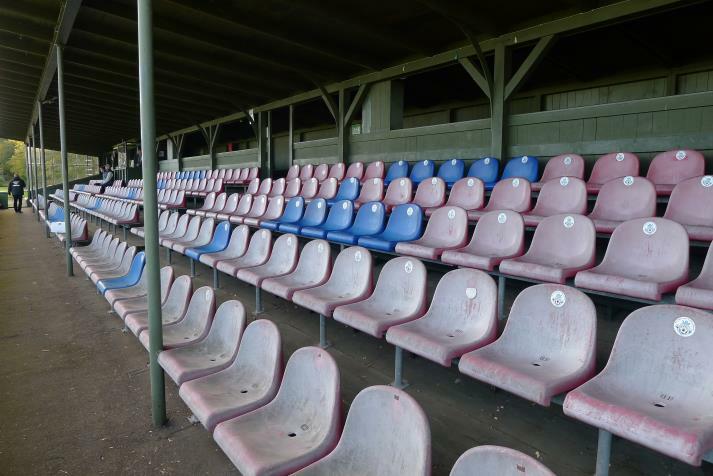 Operating since 1923, the stadium currently has two grandstands. 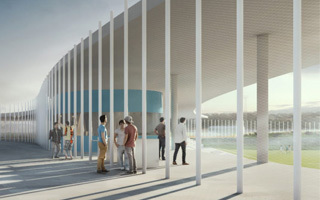 The western main stand offers 282 covered seats, while underneath it also houses all the necessary player facilities. 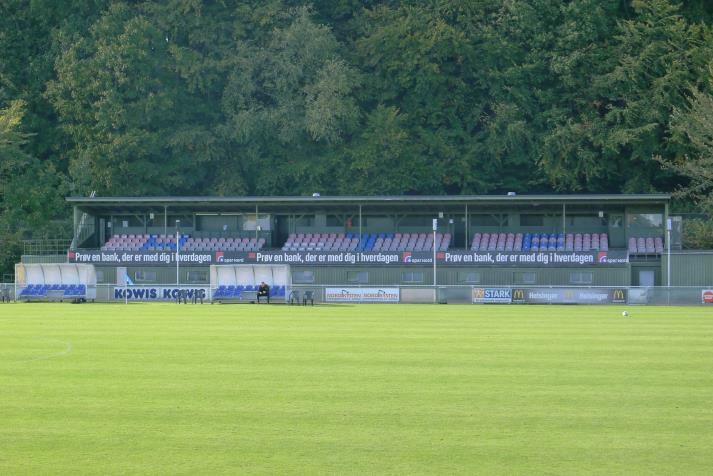 The east stand accommodates over 1,000 fans as a standing terrace or benches, depending on how fans prefer to watch the game. 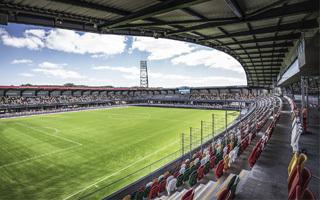 However, with sufficient room around the perimeter of the field, hundreds more people can flock inside, placing themselves in front of both stands and behind goals. 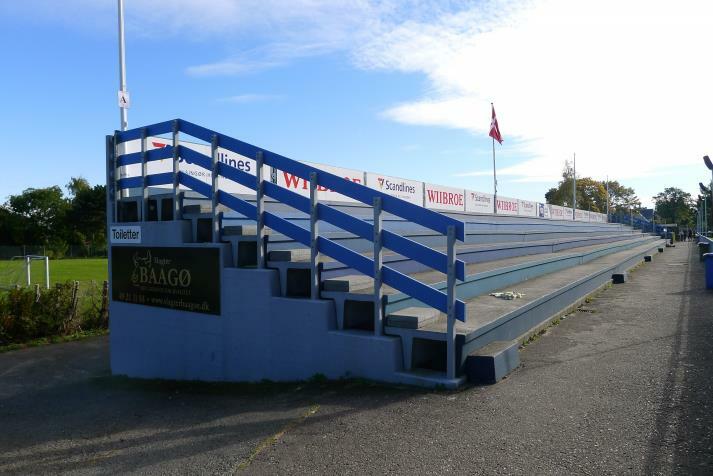 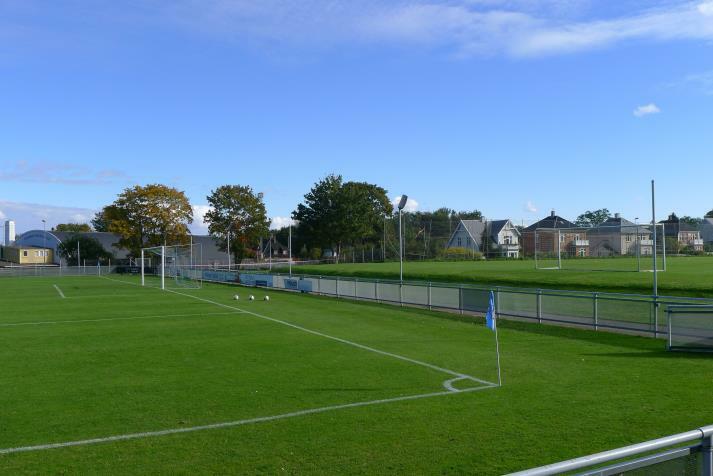 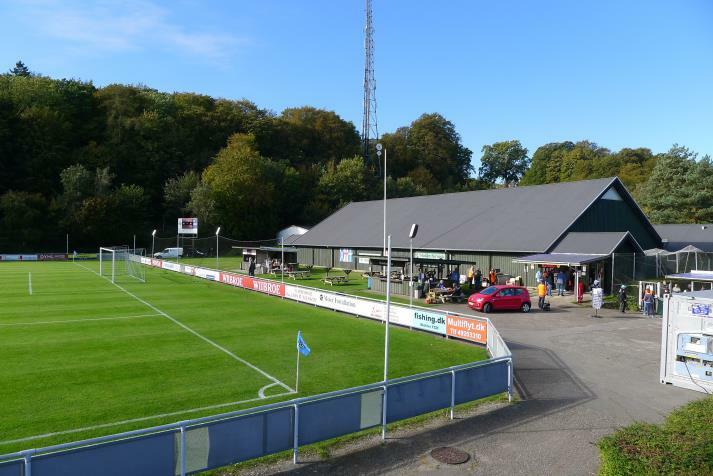 The stadium first came to national attention in 2015, when FC Helsingør (created from the fusion of 5 local teams) won its first promotion to the first division. 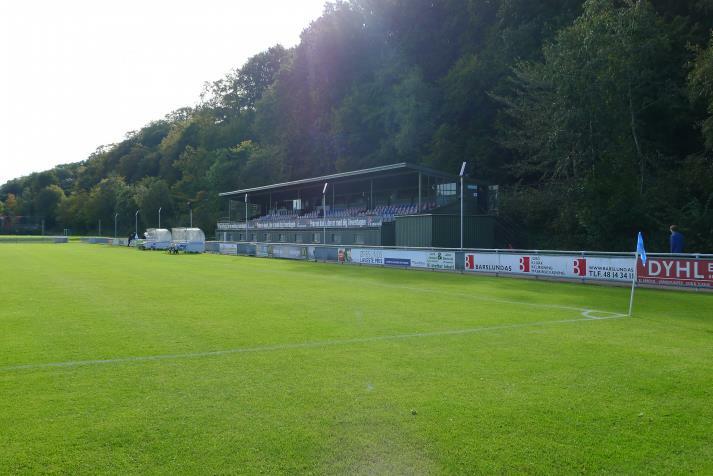 Then in 2017 the club managed to reach top flight. 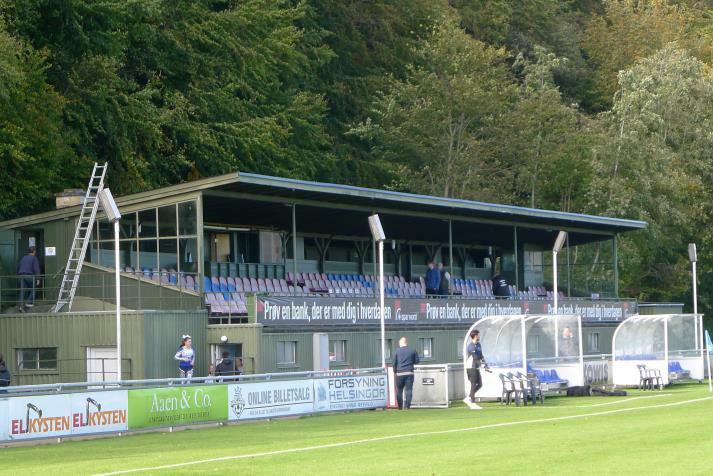 Following promotion temporary stands and floodlighting were added. 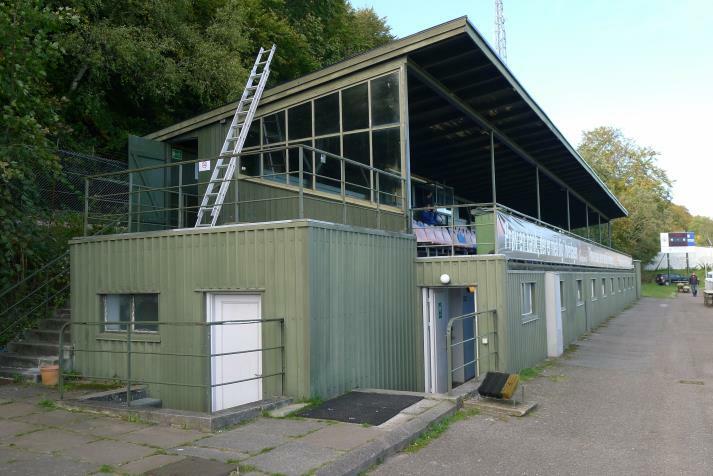 With the current stadium proving highly insufficient, plans for a new one not far away were drawn.